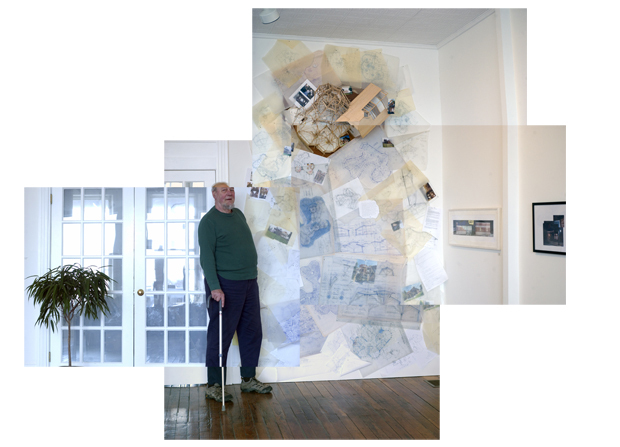 Architect Larason Guthrie stands by a wall installation of an organically influenced house that he built in Thorndike Maine. He was part of a group show at Aarhus Gallery in Belfast Maine. My friend Donna gave me a ride out to Belfast Maine to see the Architectura show which I had a few photo collages/montages in. Belfast is a nice little town -now. They say it was smelly and tattered not many years ago.